As you know, the University Innovation Fellows program was born as a successful program of the Epicenter. This center was created with the support of a 5-year National Science Foundation grant and has served as a lab for learning about how U.S. schools might embed innovation and entrepreneurship into the student experience. We are thrilled to tell you that when Epicenter’s NSF grant ends on June 30, 2016, the University Innovation Fellows program will leave the lab and continue to empower students to change higher education! The program will keep the same name and mission. We will continue training new student change agents and welcoming students from all disciplines. The new home of the University Innovation Fellows program will be Stanford University’s Hasso Plattner Institute of Design (d.school). The UIF program will continue under the leadership current directors Humera Fasihuddin and Leticia Britos Cavagnaro and with the support staff you know and love. We’ve always considered the d.school a center of gravity for the Fellows program and we are excited to create even further linkages between d.school initiatives and your change efforts on campus. Next time you’re in the neighborhood, come check out our new space! Without subsidy from the NSF, we will need to increase the program fee from $2,000 to $4,000 per student. We thought long and hard about this decision. The increase won’t cover our entire budget, but it will go a long way. We know it won’t be easy for some institutions. But, ultimately, we leaned in favor of maintaining the integrity of the program aspects we know to be catalytic in support of Fellows. Campuses can continue to sponsor a Leadership Circle of up to four students for a single $4,000 fee, with a letter from the president of the university. For future Silicon Valley Meetups, schools will continue to be responsible for the costs of the students’ travel to California, but this will now include the price of their hotel stay (please note that this change does not apply to the March 2016 Meetup). We’re going global! We will now be accepting applications for Fall 2016 from countries around the world (we have already received requests for applications). We will also offer workshops and resources for those who sponsor Fellows (faculty, staff and administrators). These offerings will include a 4-day workshop on design thinking pedagogy and a program for sponsors of Fellows to learn best practices in achieving change through their student leaders. We hope that revenue generated from these offerings will contribute to supporting the program. We are seeking new funding sources and collaborators to grow the program. How can you help us continue to strengthen our future? Like any good social venture, we would love to break even by generating revenue through program offerings our customers love. However, these revenue streams may take time to ramp up. Until that time, we need to secure philanthropic funding with donors and foundations. We may even launch a crowdfunding campaign! To support these fundraising campaigns, we are creating a video featuring the Fellows story of impact on campuses across the nation. This video will collect all of the amazing stories, voices and faces to show the power of our movement as we build this new future for the program. 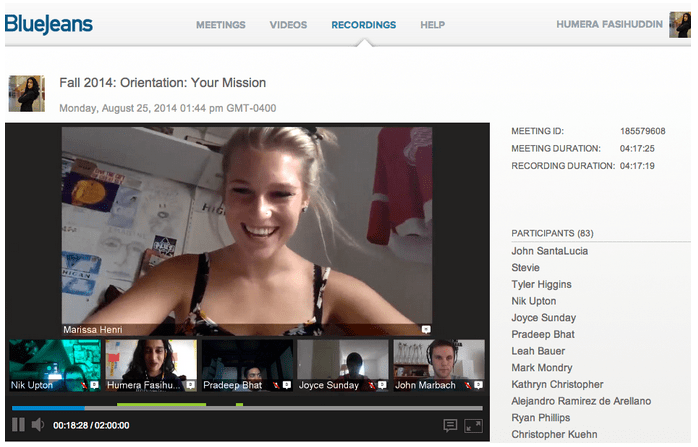 Want to submit a 15 second video of your impact? Email Stacey: stacey@universityinnovation.org. In the meantime, your work to create lasting institutional change is making a difference. This spring, we will publish articles, papers and books documenting Fellows’ impact, along with hard evidence from evaluators and researchers. We hope this will help expand the movement to new heights. We are grateful for all your hard work. Together we are ensuring a brighter future for young people in our nation. To learn more about the future of Epicenter’s other initiatives, please read the letter from the PI’s to the Epicenter community. We are excited about what the future holds! 2015 was a year of opportunity for University Innovation Fellows to be co-designers of and contribute value in higher education. Today, innovation and entrepreneurship (I&E) education can take a wide range of forms at our colleges and universities in the U.S. In addition to starting ventures, I&E education can also expose students to the mindsets and skillsets that make innovators and entrepreneurs successful, whether they start their own companies or join industry, government or the nonprofit sector. Faculty and students are seeing the benefit of exposure to an entrepreneurial mindset in all majors and career paths, and there isn’t one perfect model or collection of activities that can be used to teach students. Across the country, students are taking the lead to understand their school’s needs and develop opportunities for their peers to learn an entrepreneurial mindset and skillset. 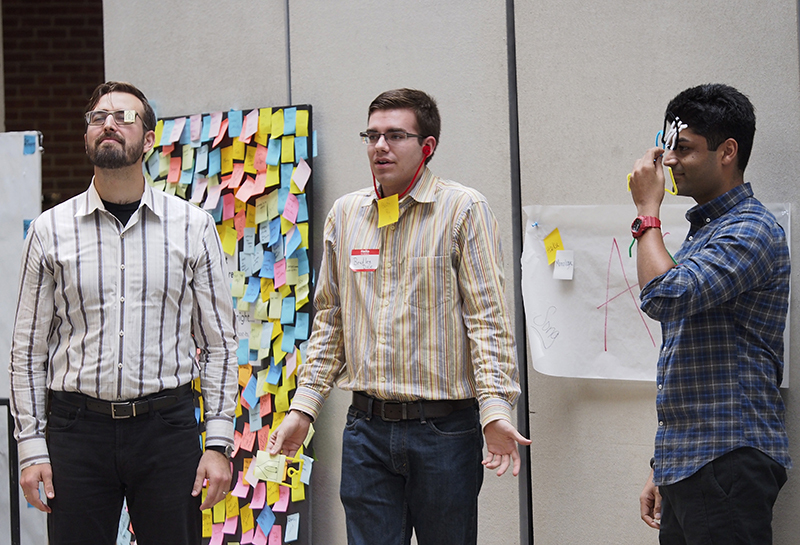 The University Innovation Fellows are leading this charge. This national student program — run by the NSF-funded National Center for Engineering Pathways to Innovation (Epicenter), which is directed by Stanford University and VentureWell — empowers students to be change agents in higher education. Fellows collaborate with one another and with faculty and administrators at their schools to develop activities that teach entrepreneurship, innovation, design thinking and creativity including courses, spaces, workshops, events and organizations. 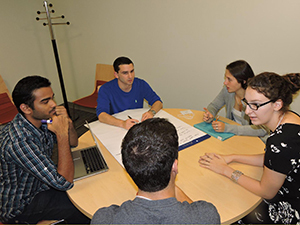 In November 2015, a Fellow at the University of New Haven hosted 3-Day Startup, a 72-hour learning-by-doing campus workshop. This program is used by colleges across the globe to teach entrepreneurial skills to university students in an extreme, hands-on and experiential environment. William Jewell College, Rockhurst University and the University of Missouri – Kansas City collaborated to host #OneDayKC in April 2015. 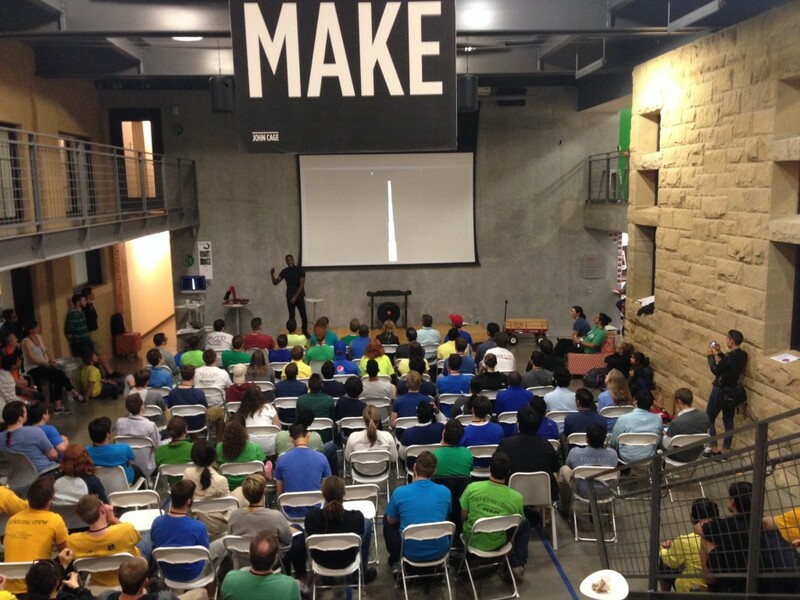 This event gave six teams of undergraduate and graduate students 12 hours to create and pitch a lean startup company that leverages Kansas City’s infrastructure and the Internet of Things to solve community challenges. 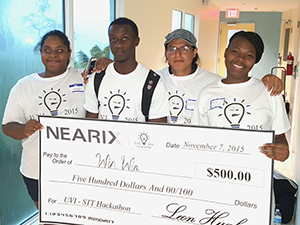 Fellows at the University of the Virgin Islands hosted a hackathon in November with 28 students from different majors who collaborated on ideas to impact the local community. The winning team designed the community service app “Win-Win.” This app’s goal is to raise awareness and participation in community service across the territory. App users will earn points for performing community service that could then be redeemed at local merchants for discounts and other specials. In November, faculty and students at the University of Puerto Rico Mayaguez Campus hosted an entrepreneurship competition for 2,500 high school and middle school students. Fellows served as judges, exhibitors and workshop assistants; faculty in Epicenter’s Pathways to Innovation Program organized the event; and 100 university students assisted with activities. A Fellow and several students from Virginia Commonwealth University created Indie Lab, a co-working community laboratory designed to provide access to equipment in a creative space in order to accomplish scientific projects. The space provides a membership program to supply aspiring scientists, artists and entrepreneurs with the tools necessary to perform safe and reliable experiments outside of higher education labs. 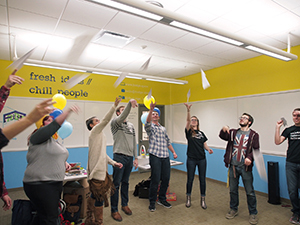 This Fall, Fellows at Kent State University created and launched The Fridge, an open co-working space in the library for students from all majors to work on collaborative projects. 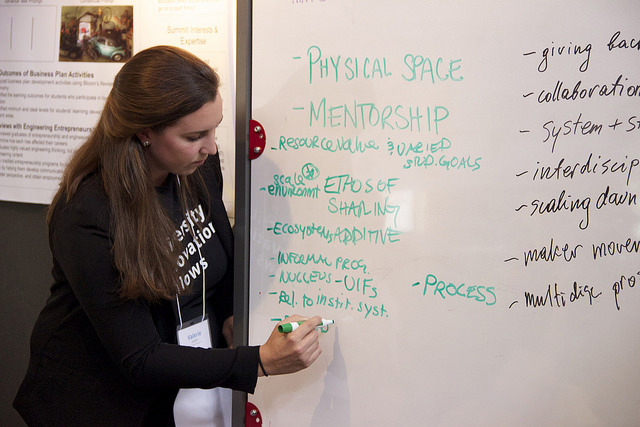 Fellows hosted a University Innovation Fellows Regional Meetup in the space in mid-November, where participants used the design thinking methodology to explore ideas around advising and mentorship. 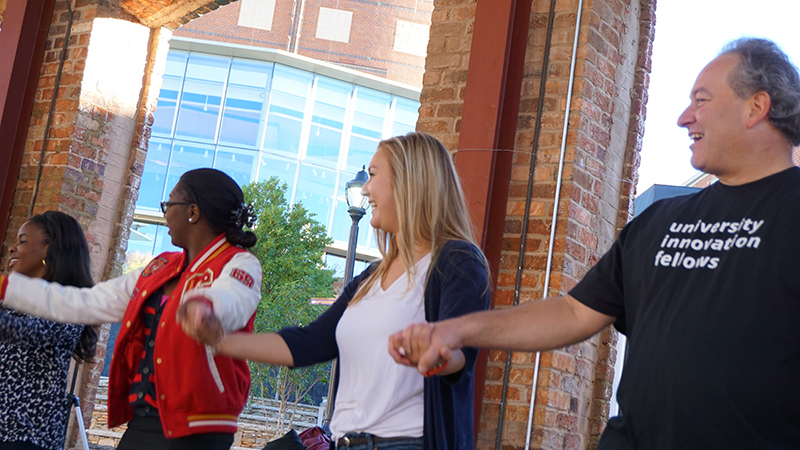 Michigan Technological University held “Chill Out with #uifresh” in August with 1,300 incoming students from all majors. The activity, which focused on ways to cope with winter weather, introduced students to the school’s innovation and entrepreneurship ecosystem and opportunities to participate in real world problem solving activities on campus. At James Madison University, the JMU X-Labs offer free, non-credit workshops to help faculty, students and community members learn new skills. Faculty and students also use JMU X-Labs as maker spaces and facilities to teach courses, with a future goal of offering 24-hour access to the campus community. In November, Fellows and faculty also hosted a University Innovation Fellows Regional Meetup in the X-Labs space, where attendees participated in design challenges and explored projects Fellows are implementing across the country. A Fellow at Utah Valley University created a mobile cart with prototyping materials that can travel to multiple classrooms to teach design thinking. This pop-up model allows faculty to help students to engage with the methodology without having to create new curriculum, with the future goal of creating a dedicated makerspace on campus for this type of engagement. At Southern Illinois University Carbondale, Fellows enhance the entrepreneurial playing field for the region’s student entrepreneurs and innovators through Saluki Ventures. This incubator runs the Saluki Innovation Series, which offers a pitch competition, hackathon, marketing workshop and other events. North Dakota State University’s Fellows created the Hammock Initiative to encourage students to discuss ideas in a relaxed setting. 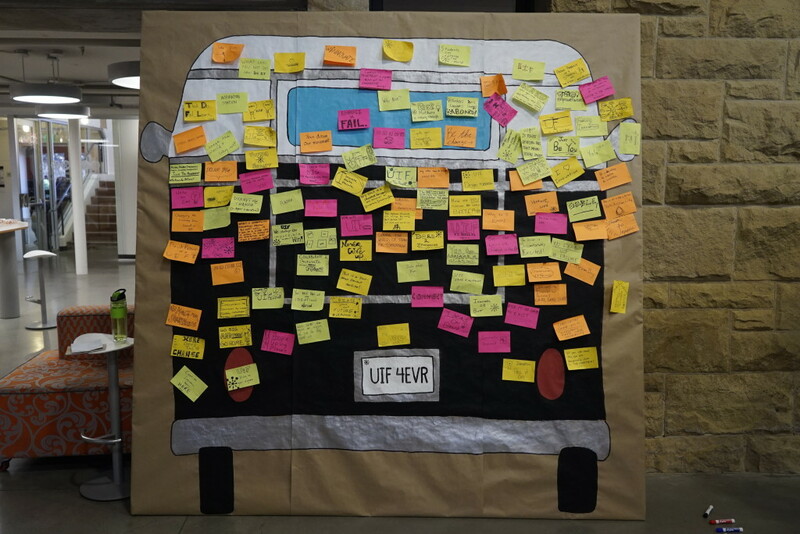 As part of the #uifresh initiative, in August, they hosted the activity “I3: Ignite Innovative Ideas,” where students relaxed on hammocks and discussed innovative and entrepreneurial activities on campus and in the community. Fellows at La Salle University created a 3D printing club to pique interest in entrepreneurship among students and establish a culture of making. The space features a white board where students can share new ideas and connect with others. In the future, the Fellows plan to collaborate with faculty on robotics and design thinking activities in the space. 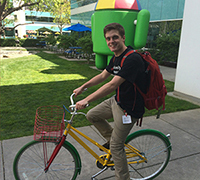 Welcomed 274 of Fellows: 123 in Spring 2015 and 151 in Fall 2015. 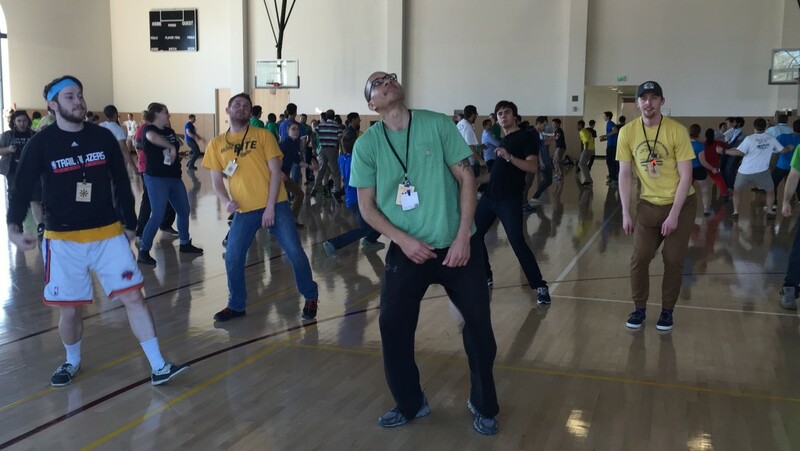 Held largest (to-date) Annual Meetup, which took place at Google and Stanford’s d.school in February 2015 with 157 Fellows and 12 faculty sponsors. 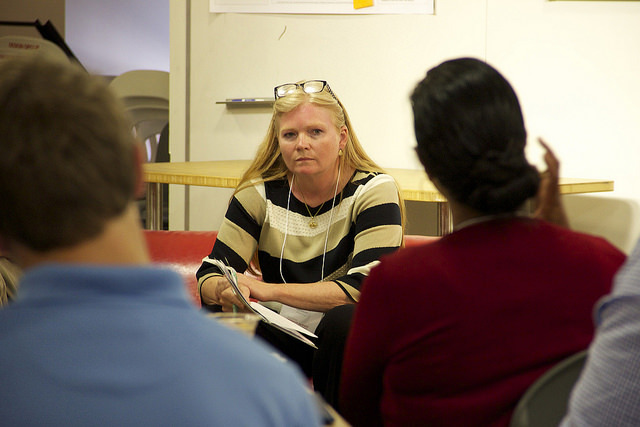 Participants learned design thinking and lean startup strategies and worked on collaborative projects. #uifresh: launched in March with 10 campuses, #uifresh introduces incoming STEM students to innovation, entrepreneurship, design thinking and creativity. The number of campuses doubled to 20 in August by partnering with Epicenter’s Pathways to Innovation program. Higher education commitment in honor of the first-ever White House Demo Day: 30 institutions committed to actions that will expand innovation and entrepreneurship education offerings in order to enhance the economic potential of colleges and universities and better prepare students to create products that benefit humankind. Attended multiple conferences to share the impact of Fellows, including the American Society for Engineering Education (ASEE) for the first time. Members of Epicenter’s Research Team received two paper awards at the ASEE Annual Conference in Seattle, Wa. 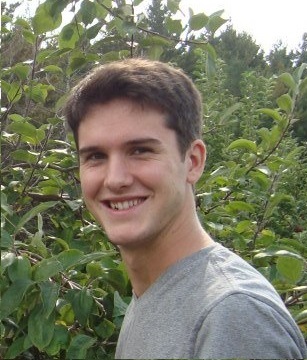 Co-hosted two regional meetups at Kent State University (read one student’s perspective here) and James Madison University. This is a high-level synopsis of 2015 and we’re excitedly looking toward the future and what 2016 will bring. Happy New Year! STVP Future Fest 2015, Elon Musk. Photo by Matt Beardsley. As I sat in the Bing Concert Hall at Stanford University, I was in awe of the environment. The architecture of the hall plus the opportunity of being in the presence of influential people in attendance such as Bernie Roth and Heidi Roizen made me feel euphoric. As the talk began, Elon Musk, (founder of Tesla & SpaceX) and Steve Jurvetson (partner at Draper Fisher Jurvetson) walked out on stage. Steve began to ask Elon a series of questions about the future of technology and even Mars! I was blown away at the moonshot thinking that the people around me had. They spoke freely about audacious goals and progress for mankind with moxie and hope. They even discussed how artificial intelligence (AI) and genetics are projected to be the next major revolutionary fields. Talking cars, watches and phones were regarded as impossible 20 years ago and are now reality. Holograms were a fairytale, but with the emergence of developer environments such as leap motion, they are now reality (I guess fairytales come true)! An episode of MTV cribs on Mars now seems far fetched, but how about we fast forward to 2035. Will the first episode feature a University Innovation Fellow? The event was an incredible experience and encouragement to what I hope to achieve as a person who happens to be studying engineering. Hearing Elon Musk speak about the future and the opportunity to go after goals that are often difficult for most people to picture exemplifies the seed that was planted in me through the University Innovation Fellows program. We always need to think about how people imagined our present world in the past, then think about the present, then think about how we view the future, and then time travel to the future by making it happen. We don’t necessarily have to focus on one thing our whole lives, and don’t have to specialize in what we went to college for or what we have always done. It’s ok to be regarded as crazy–at least we know it. The crazy ideas tend to have the best chance of changing the world, but we always need a community of realistic collaborators and friends to keep us streamlined. Alexandra Seda (left) & Francis Atore (right) with their DIY Tesla waiting to enter STVP’s Future Fest with guest Elon Musk. I entered the program as a creative hopeful with the outlook that I could accomplish little. However, through the program I’ve grown to outgrow the limited mentality I once had–the mindset that dreams could not come true if I did not have sufficient resources on hand. Now, after becoming a Fellow and having the opportunity to travel to California twice, gaining and sharing as much knowledge accumulated back to my campus; I know this is only the beginning. Elon mentioned how he only focuses on solving problems that will have a significant impact on others. He is able to solve these problems with an extraordinary team of doers who have the capacity to imagine and believe. 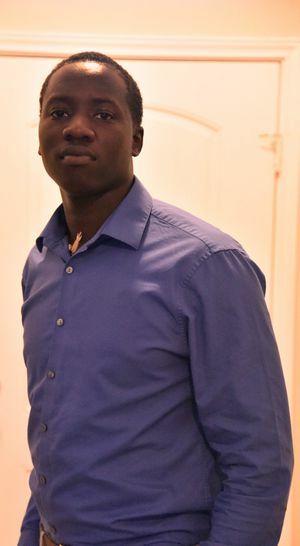 As a Fellow, I hope that I can ignite the freedom of imagination and belief in solving mankind’s challenges through empowering the students on my campus. As we analyze the world we live in and imagine the future, we need to identify the most interesting problems to solve that will develop a meaningful purpose in others. Secondly, prioritize the sequence in which we tackle problems based on the amount of resources that are readily available for each problem. Third, the notion that good people finish last is not true and does not have to be the case. We can always help others shine and succeed and still be successful. STVP Future Fest 2015 with guest Elon Musk at Stanford University. Photo by Matt Beardsley. UIF’s mantra is, “We believe students can change the world!” As a Fellow, I firmly believe and stand by this . How do Fellows live out this mantra? We live it by creating/strengthening innovation spaces, entrepreneurship events, design thinking workshops, multi-school collaborations, and national partnerships in the hopes that these offerings will raise up curiously empowered problem solvers and selfless entrepreneurs all across America and the world. “We believe students can change the world.” Do you believe? P.S. This has nothing to do with the talk, but you need to make sure that you have the RIGHT type of post its. That is, a number of 3 X 3 post it brands and not yellow (too generic), multi colored set. For more technical details consult Leticia, the POST IT guru. 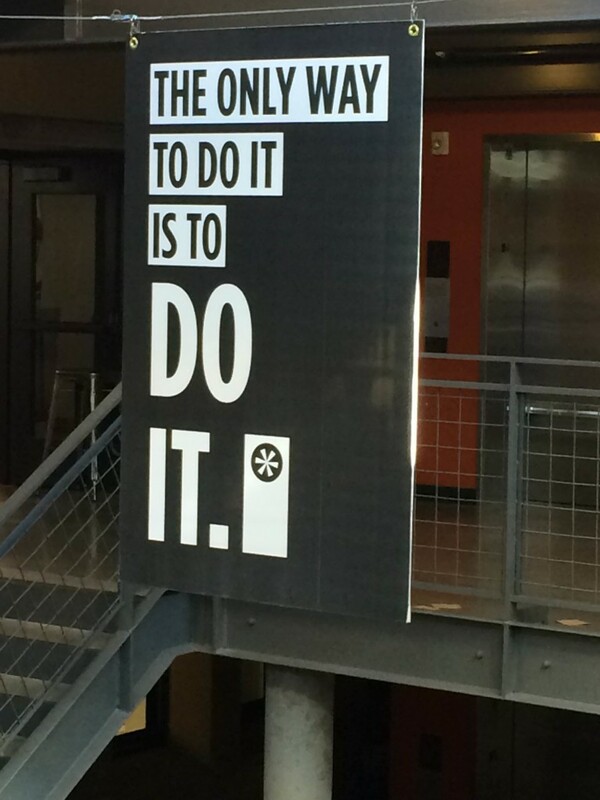 creativity through Do. Think. Make. events. (October 26, 2015) – 150 students from 52 higher education institutions have been named University Innovation Fellows by the National Center for Engineering Pathways to Innovation (Epicenter). This year, the University Innovation Fellows launched a national STEM initiative called #uifresh (University Innovation Freshmen). 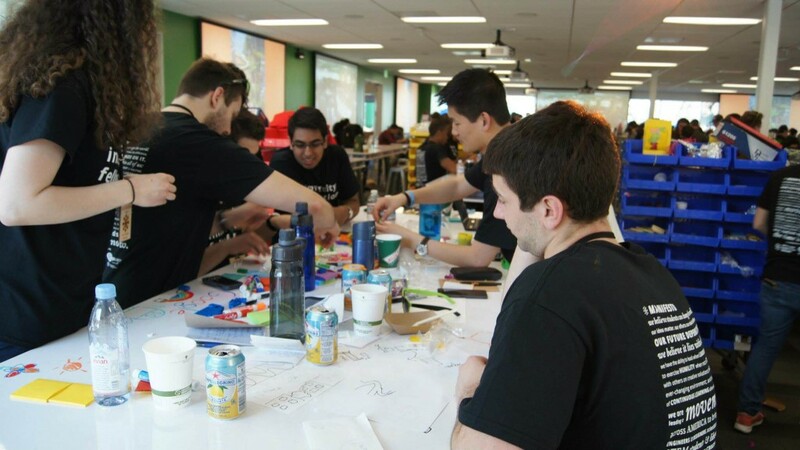 Participating institutions are exposing incoming first-year students to innovation, entrepreneurship, design thinking and creativity in order to attract and retain more students in STEM disciplines. The initiative was launched in March 2015, during the White House Science Fair, and 20 schools held activities for new students during orientation in August and September. Read more about the schools and their activities at http://bit.ly/uifresh-news. This November, students will have the opportunity to participate in two University Innovation Fellows Regional Meetups at Kent State University and James Madison University. These events are designed by Fellows at a host school and attract Fellows from nearby states as well as other local students. The events feature local thought-leaders and showcase the school’s efforts to promote innovation, entrepreneurship, design thinking and creativity. 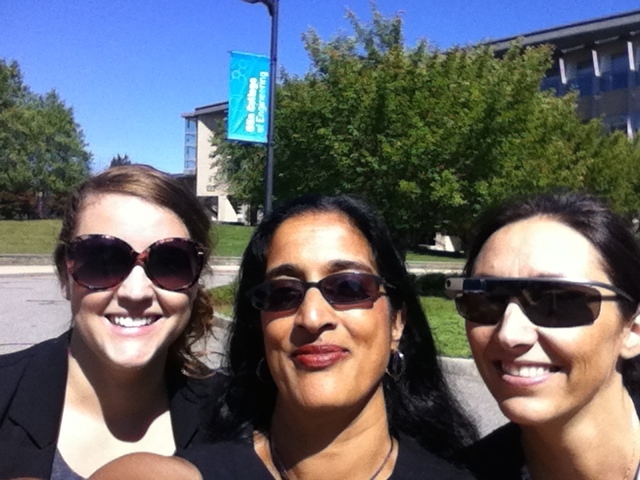 Learn more about the University Innovation Fellows at http://universityinnovationfellows.org/. What Role Can Students Play in Attracting & Retaining their STEM Peers? Join the conversation at 8 p.m. EST. Tweeting as @epicenterusa, using the #BigBeacon. Preparing college graduates for careers in science, technology, engineering and mathematics (STEM) is a national education priority in the United States. According to a report published by the President’s Council of Advisors on Science and Technology, fewer than 40 percent of students who enter college intending to major in a STEM field actually complete a STEM degree. Many organizations have been working to address this issue on the national level, and higher education administrators and faculty are working on ways to attract and retain more STEM students on an institutional level. This article was originally posted on bigbeacon.org. To read the full post, please follow this link. https://i2.wp.com/universityinnovationfellows.org/wp-content/uploads/2015/04/screen-shot-2015-04-15-at-10-35-27-am.png?fit=345%2C79 79 345 Laurie Moore https://uifellows.wpengine.com/wp-content/uploads/2015/05/logo.png Laurie Moore2015-04-15 14:35:052015-12-04 19:45:09What Role Can Students Play in Attracting & Retaining their STEM Peers? For many of the fellows, the captain announcing the initial descent into San Francisco/San Jose was enough to get our hearts racing. A few weeks back, we had the opportunity to meet our peer Fellows from all around the country, and visit innovative places such as Google, Stanford d. School, and in our spare time, the rest of what Silicon Valley has to offer. We were all mesmerized by the resources, the opportunities and the networks that were established around the area. But near the end of my trip, I had the chance to head over to East Palo Alto, with poverty and homelessness in unbelievably high density. Even with the classic Silicon Valley iconic dot com boom, there are areas like East Palo Alto which were bypassed. On the flight back home, I had time to consider what this mean to me as a young innovator. I came to the conclusion that although Silicon Valley is inspiring in and of itself, and many of my peer Fellows are excited to perhaps one day be a part of it, it is also of the utmost importance to empower our youthful innovators and University Innovation Fellows to create the next Silicon Valley, and deliver unprecedented growth in Innovation and Entrepreneurship (I&E) in their own hometowns. This begs the question: What made the tech boom possible in Silicon Valley, and what would it take to mirror the environment in a new burgeoning city? Innovators, often unintentionally, bullishly attempt to characterize solutions without first understanding the problem. For clarity, think of the jigsaw puzzles you completed as a child. There is a reference picture on the box, providing a sense of an end vision and inspiration, but most importantly, providing a landscape to facilitate the process. Silicon Valley is that picture on the box; when shaping our respective I&E Ecosystem Landscape Canvases, it is common for us to think we are on our own, without any facilitation or guiding end vision. This could not be further from the truth. The weekend in Silicon Valley with Fellows was a time for collaboration, design thinking and the discussion of a variety of different exciting platforms and initiatives for empowering our movement for growth. But let it be known that there is a reference picture on the figurative box of our movement. It is tech hubs like Silicon Valley, that give us a sense of an end vision – a vision for where the next innovation boom will occur, whether it be in clean energy, biotech or even liberal arts education on college campuses. But just as it is in East Palo Alto, the picture is blurred. There are areas that innovation seemed to bypass, and the people and economy suffer tremendously. It is the burden of us Fellows to begin putting together the puzzle, while also shedding light on the blurred area of the picture. It is time for the next Silicon Valley to be born; for a new picture to emerge, and for the picture to be clearer than ever before. The next gold standard could be in Ohio, South Carolina, or Idaho. And it would be safe to bet that a University Innovation Fellow would be behind that project. Consider this a call. A call for action. A call for the next Silicon Valley. A better Silicon Valley, and a better world for it. 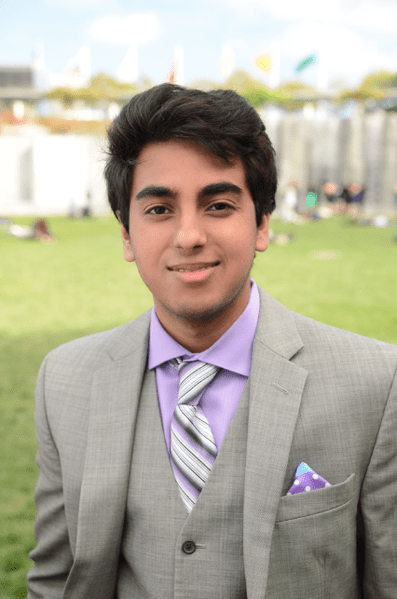 Peeyush Shrivastava is a Biomedical Science major (Economics Minor) at The Ohio State University, and a passionate innovator and entrepreneur working on developing and commercializing a pipeline of diagnostic solutions. An avid researcher and enthusiast of science and youthful innovation, Peeyush hopes to bring a new era of student bioscience innovation with his role as a Fellow at Ohio State. See his full profile here. This article was written by Amin Mojtahedi, a University Innovation Fellow Candidate at the University of Wisconsin at Milwaukee. Amin is a Ph.D. candidate in the School of Architecture and was visiting the Georgia Tech campus for one week at the end of January. See his full bio here. (I&E). One of my most memorable visits was to the Invention Studio at the Manufacturing Related Disciplines Complex where Alexis, a PhD candidate in Electrical Engineering, gave me a comprehensive tour of the facility. The Invention Studio was a student-run maker space where the opportunity for students to design, prototype and share was provided through workshops, experienced student “masters” in about 13 areas, and access to a wide range of materials and impressive cutting edge machinery including computer controlled machines (e.g., 3D printers, 3D scanners, laser engraving and cutting machines, waterjet, etc. ), powered manual machines (e.g., bandsaw, injection molding, drill press, etc.) electronics equipment, and hand tools. In the fifth year of its operation, the Invention Studio has about 170 members and is opening branches in other schools on campus. Despite the rapid growth, members still bond over video games and move nights in the comfy lounge equipped with a large screen right across the Studio. Perhaps the most exciting part of the trip was meeting the GT three UIFs: Megna, a 5th year Biomedical Engineer; Alex, a 3rd year Mechanical Engineer; and Rachel, a 5th year Biomedical Engineer. We all first met at the Starbucks in the architecturally impressive Clough Learning Commons. 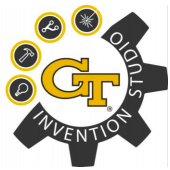 Later, Megna and Alex kindly gave me a complete tour of the Innovation & Design Collaborative in the GT library. IDC, or Design Block as Megna liked to call it, was an intelligently designed 4,000 sqf space with a variety of furniture from playful foam cubes to customized tall studio-like desks for group work. A Unistrut ceiling and racks provide drop-down access to electrical utility for users to be able to plug in while being in their desired spot and white boards were everywhere. 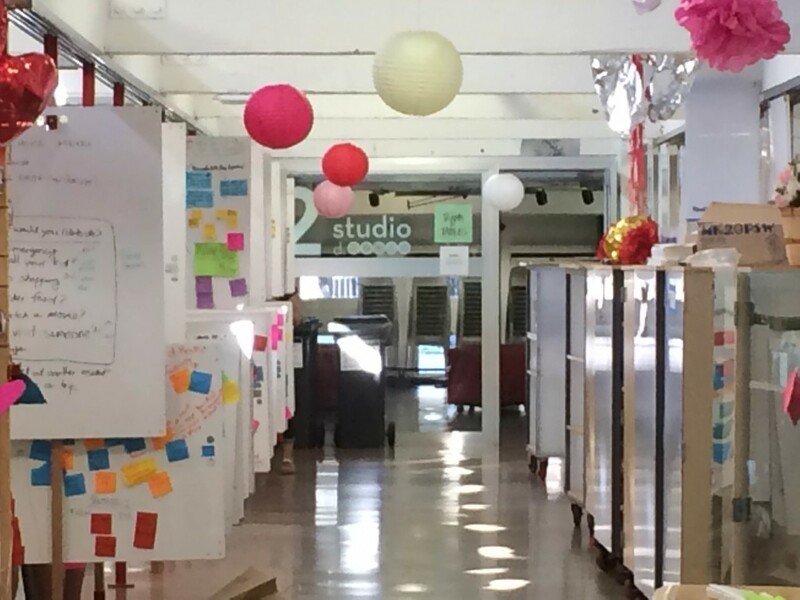 With Wayne Li’s help, the space and program were designed after Stanford’s d.school. I concluded the tour by participating in Wayne’s class on Contextual Awareness – as one of the five tenets the 21st century creative thinker can use to disrupt markets and drive innovation. 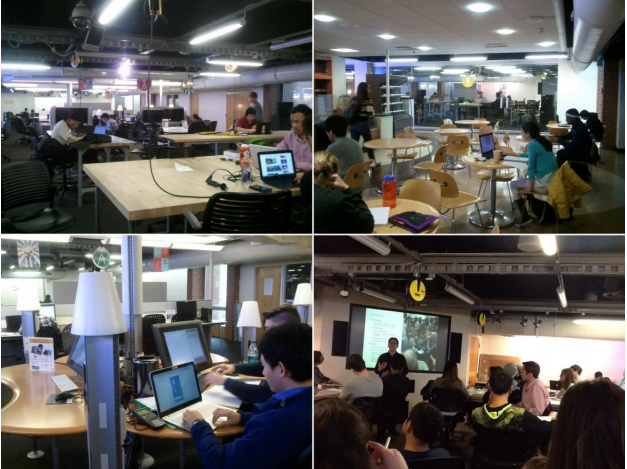 IDC’s space is open to GT students 24/7 and is currently holding workshops while providing resources for learning Design Behavior. The following post is a reflection of two faculty sponsors: Landon Young of William Jewell College (Missouri) and John Santa Lucia of Wayne State University (Michigan). 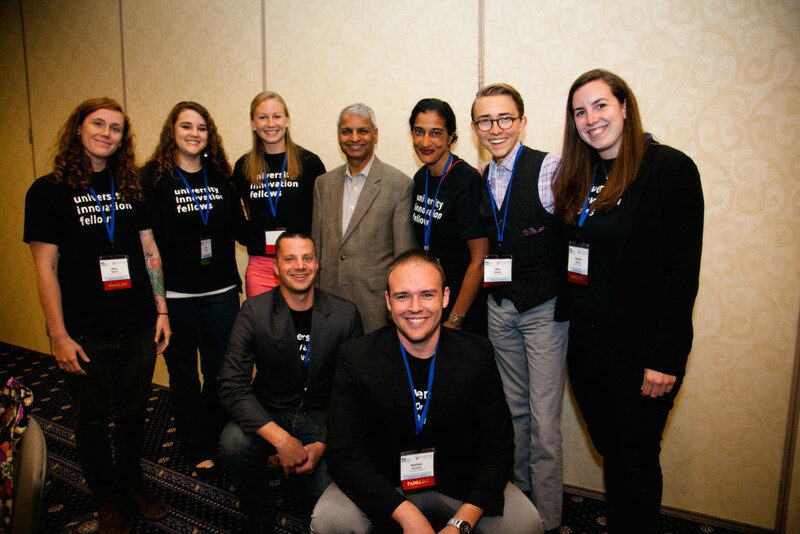 Both faculty sponsors had the pleasure of joining Fellows at two separate meetups; the first was the Southeastern Regional Meetup in Greenville, South Carolina, from October 3 – 4, 2014 and the second was the Mid-Atlantic Regional Meetup in College Park, Maryland, and Washington D.C. from November 1 – 2, 2014. Each meetup had a unique theme dedicated to the strengths of the universities being represented and the resources within local community relationships. It takes a special person to be an entrepreneur. It takes courage, vision, innovation, optimism, energy, perseverance, team building, leadership, and technical skill. Few people have the winning combination of skills needed for success. However, three students from Wayne State University — Nikolas Upton, Siwatu Sanders, and Pradeep Bhat — have these skills in spades. All three of them successfully completed the training for the University Innovation Fellows (UIF) program. Nationwide, only 168 students have completed the program to date. As a faculty sponsor, it is a privilege to mentor Nik, Siwatu and Pradeep. I have been working with them to refine their business ideas and their ideas for spreading entrepreneurship at Wayne State through business short courses and the creation of a “maker space” for 3D printing, prototyping and fabrication. 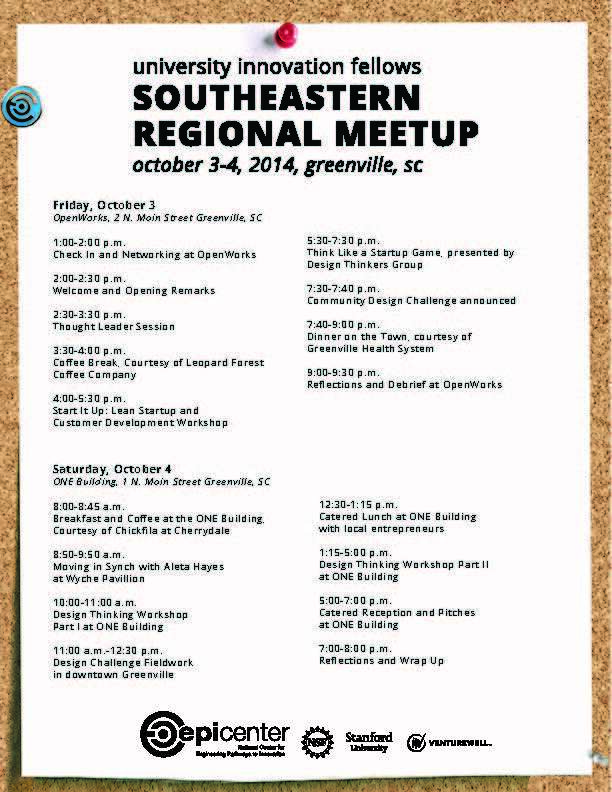 The capstone event for the UIF training was a regional meeting October 3-4 in Greenville, SC. This was attended by 68 students from throughout the U.S. and our hosts from Clemson and Furman University were wonderful. I was thrilled to be able to participate in this event. We started out at 9:00 PM with an overnight road trip from Detroit to South Carolina. The road trip itself was a great opportunity to have extended conversations with the students. Their energy and optimism is infectious. At the UIF meeting we were treated to some wonderful talks from local entrepreneurs and various instructional games from the Design Thinking Group. The students participated in several workshops that involved brainstorming business ideas in small groups, making elevator pitches, writing business plans, dancing (!!! ), and performing real marketing research by performing polls of people on Main Street. As a faculty sponsor, I had great fun mostly observing the incredible creativity of the students. It was also fun to jump in and offer some guidance and to ask some probative questions. I love the social idealism of this generation. Most of their business ideas involve socially conscious issues such as care of the elderly, how to deal with student loan debt, green technologies for energy and waste disposal, engineering prosthetic devices for handicapped people, and engineering clean water for poor countries. One of the unique aspects of the regional meeting was that the structure of the meeting was engaging, instructional and FUN! Quite different than the usual classroom didactic. I think that more faculty sponsors should be encouraged to go to these meetings so that they can import some of the entrepreneurial ideas into their curricula. Entrepreneurs like Nik, Siwatu, and Pradeep give me optimism for the future of our country. I am thrilled that I chose to attend the University Innovation Fellows (UIF) Mid-Atlantic Meetup at the University of Maryland with my students! It was a provocative weekend that helped me to better understand the goals and activities of Epicenter and the UIF program. I was able to experience the activities with students first-hand, and this shared experience reinforced the bond with students and gave us a shared vocabulary, vision and purpose. 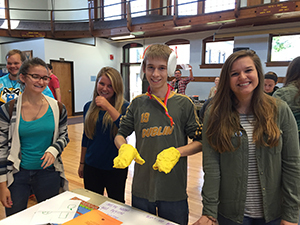 The hands-on activities gave the students experience in materializing their ideas into tangible products and designs, and we all had a blast laughing at ourselves as we fashioned virtual reality wearables out of fuzzy pipe cleaners! The meetup took several serious turns as well. As a group, we discussed national trends and specific ideas for William Jewell College, including an outline that we developed for changes in the student curriculum. The most meaningful take-away for the students was being guided into a mindset of empathy, which gave them insight into other points of view, including the perspective of a customer, a friend, and an administrator on campus. As a faculty member and advisor, I was able to meet the staff and organizers from Epicenter. Over the course of the two-day gathering, I saw the passion and knowledge that they brought to the table and learned the specific methodologies that they use. This group of driven and focused individuals guided the students with care and gave specific as-needed instruction to each Fellow. The group accomplished so much together, and I left inspired by the relationships forged and the innovative dialogue we shared. 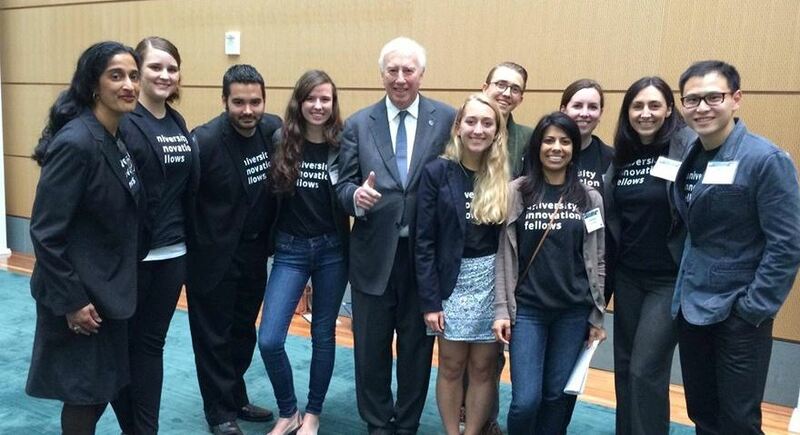 I cannot wait for the next meetup when I can join students and advisors in shaping the next phase of the UIF program. The University Innovation Fellows Mid-Atlantic Regional Meetup will take place November 1 – 2, 2014, at the University of Maryland and in downtown Washington, DC. The University Innovation Fellows, a national student organization, will host a regional event at the University of Maryland and in downtown Washington, DC, focusing on innovation and entrepreneurship in higher education. 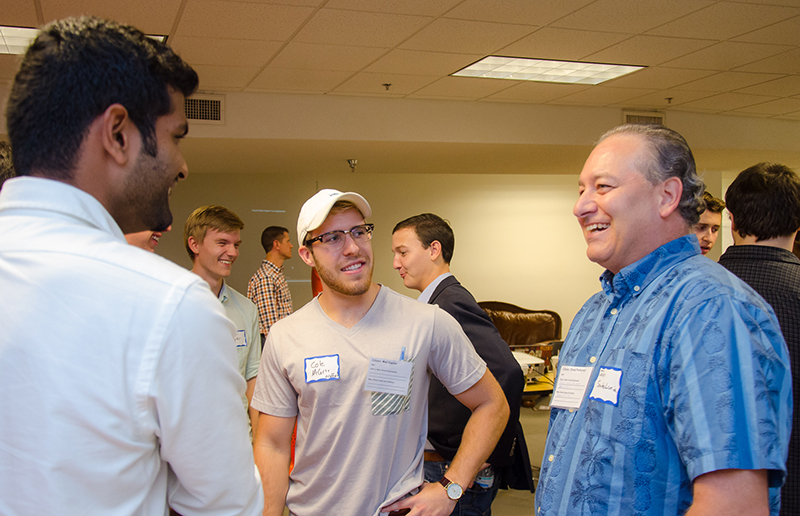 The University Innovation Fellows Mid-Atlantic Regional Meetup will take place November 1-2, 2014. Fellows from across the country will join students from the University of Maryland to participate in experiential activities focusing on entrepreneurial thinking, creativity, design thinking and community engagement. This event is hosted by the University Innovation Fellows program in collaboration with Fellows from the University of Maryland who designed the two-day program: Atin Mittra (Aerospace Engineering B.S. 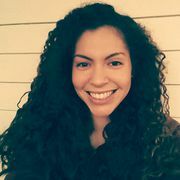 ‘14), Valerie Sherry (Architecture M.A. ‘15) and Meenu Singh (Civil Engineering B.S. 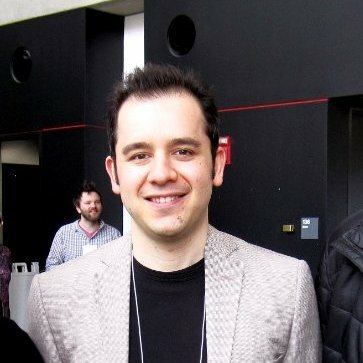 ‘14). “Our goal is to get participants thinking about innovation and entrepreneurship in new, inclusive ways that challenge the traditional assumptions of what it means to integrate these fields within higher education,” said Meenu Singh, one of the three Fellows organizing the event. The Fellows are a national community of student leaders who help students at their schools learn about innovation, entrepreneurship, creativity, design thinking and venture creation. The program is run by the National Center for Engineering Pathways to Innovation (Epicenter), which is funded by the National Science Foundation. The theme of the event is “Creative Collisions” to help students incorporate innovation and entrepreneurship into all facets of student life and across all areas of study. The event is a collaborative experience that will allow participants to learn from practices at the University of Maryland and share insights from their home institutions. Activities on November 1 will take place at the University of Maryland and include a creativity workshop, a discussion with administrators on partnerships with students, a campus scavenger hunt and a business model activity. Activities on November 2 will take place in downtown Washington, DC, and include a design challenge, visits to co-working spaces and points of interest, and a movement workshop on the National Mall. A full schedule of activities is available upon request. 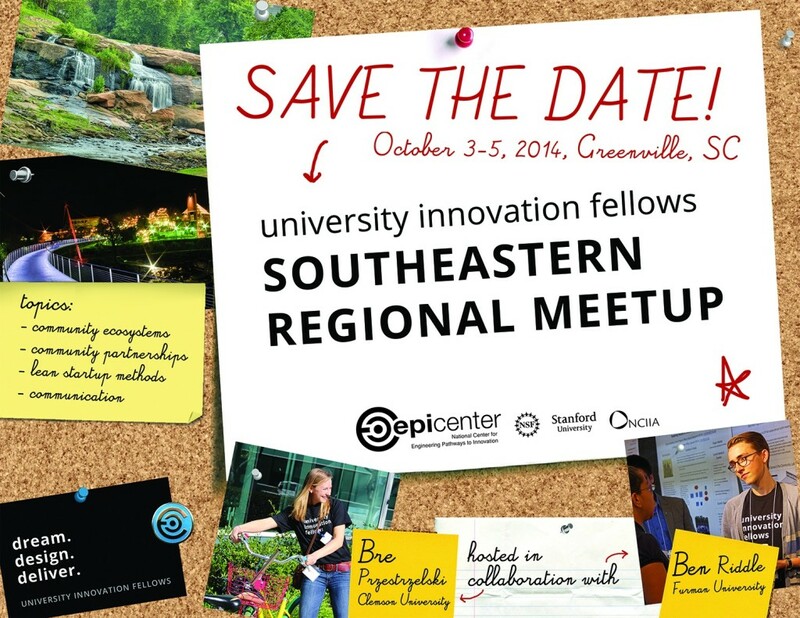 https://i2.wp.com/universityinnovationfellows.org/wp-content/uploads/2014/10/mid-atlantic-savethedate2.jpg?fit=675%2C522 522 675 Laurie Moore https://uifellows.wpengine.com/wp-content/uploads/2015/05/logo.png Laurie Moore2014-10-29 23:37:502016-12-01 16:49:27Fellows Mid-Atlantic Regional Meetup: University of Maryland and Washington D.C.
Do you feel that there is a gap in the student learning experience as compared to the skills graduates need to compete in today’s economy? Do you feel that your campus would benefit from student-driven demand regarding experiential learning opportunities around innovation and entrepreneurship? If you answered yes to both of these questions — you have encountered 110 like-minded students representing 74 U.S. higher education institutions. 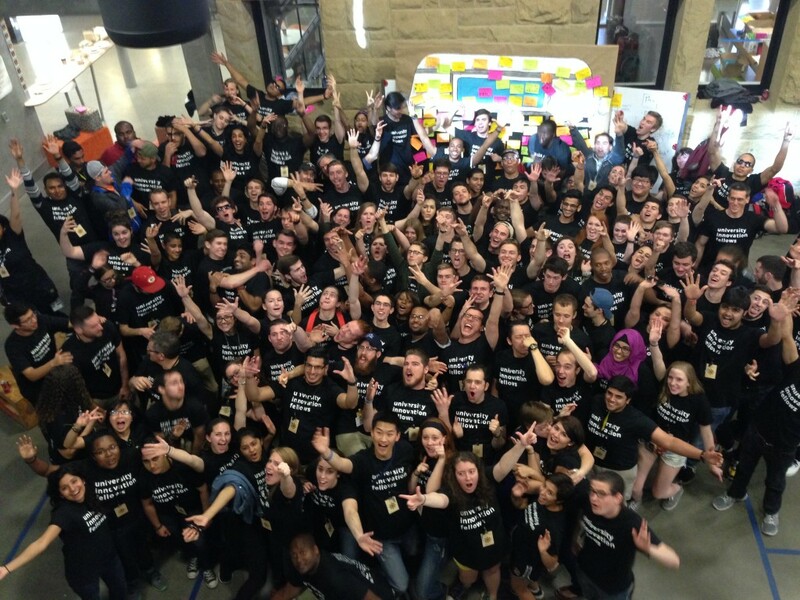 Students are joining a national movement* of undergraduate engineers who are changing the face of higher education — Epicenter’s University Innovation Fellows (Fellows). Last year alone, students created over 20 maker spaces, founded student clubs and organizations, hosted events and workshops and even worked with faculty to design courses. Epicenter’s Fellows program is a 6-week intensive and experiential online training program that introduces candidates to design thinking, lean methodologies and student-led change strategies. This knowledge leads students to build the necessary skills to implement lasting institutional change on their campus. Throughout training, candidates are exposed to a network of Fellows across the U.S. that enables them to share ideas, stories and key learnings around an array of resources and topics that bring innovation and entrepreneurship to campus. Applications for the Fellows program are now live! The deadline is Friday, October 31, 2014. If you are a student, find more information about the program here and information about the application process here. If you are a faculty member looking to sponsor a student on your campus, find more information about the role of a faculty sponsor here and more information about Epicenter’s mission here. To read the full press release about the October 31 application deadline, and to find more information about Epicenter, click here. *The National Center for Engineering Pathways to Innovation (Epicenter) is funded by the National Science Foundation and directed by Stanford University and VentureWell (formerly NCIIA). Our mission is to change undergraduate engineering education, but Epicenter’s University Innovation Fellows considers all majors. Our first event of the summer was hosted at the National Academy of Engineering in Washington D.C. During these two days, Fellows discussed the 14 Grand Challenges identified by the Grand Challenge Scholar’s Program (GCSP) alongside deans from institutions across the country. Karuna Relwani (UPitt) presented on the student panel with students from Engineers Without Borders (EWB), Engineering Projects In Community Service (EPICS) and the GCSP. Each student discussed their experience with these programs at their institution and also their key learnings from being exposed to experiential engineering. Megna Saha (Georgia Tech), Mary Wilcox (ASU Tempe), Yifan Ge (Bucknell), Valerie Sherry (UMD College Park), Ben Riddle (Furman), Lauren Distler (James Madison), Natalia von Windheim (NC State) and Corey Brugh (Colorado School of Mines) joined as well to light the fire for these deans to commit to creating change on their campus. The outcome of these two days was 66 deans signatures that solidified their commitment to bringing visibility to the Grand Challenges on their campus. For more information, visit dreamdesigndeliver.org to see a video of the commitment that Fellows made and additional articles written by both Megna and Mary after this event. Back in June, Humera and I hoped in a car and met Nate Smialek (UPitt), Mary Wilcox (ASU Tempe), Rob Soloman (UWMilwaukee), Ben Riddle (Furman), Bre Przestrzelski (Clemson) and Valerie Sherry (UMD College Park) in Lowell, Massachusetts for the Deshpande Symposium. We also conveniently saw Kevin Desjardins (UMass Lowell) and his faculty sponsor Tom O’Donnell. The Deshpande Symposium is designed around innovation and entrepreneurship ecosystems, curriculum, commercialization and trending topics. Fellows facilitated a session titled: Students: Secret Agents of Change. Fellows discussed their path to serving as campus change agents and offered tips on how to foster student engagement. We had two faculty sponsors join us: Ross McClain of Furman University and Ilya Avdeev of the University of Wisconsin Milwaukee. To add to the discussion, the faculty spoke to their approaches in cultivating a faculty sponsor-Fellow relationship and how they were supporting their Fellows strategies for change on campus. 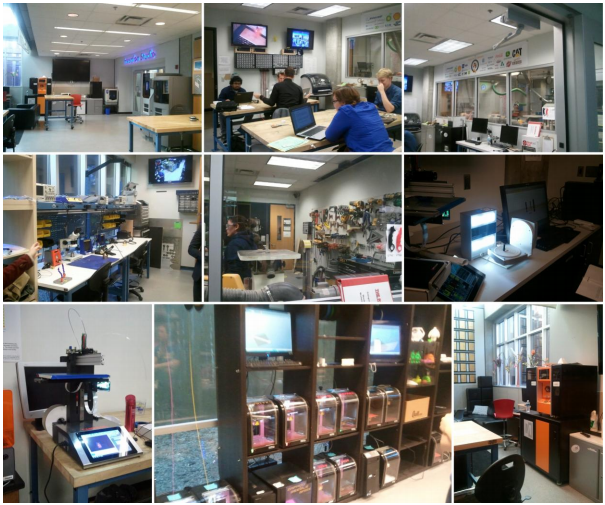 In addition, we got to visit UMass Lowell’s M2D2, a Medical Device Development Center; the New England Robotics Validation and Experimentation (NERVE) Center; and Emerging Technologies and Innovation Center (ETIC). Katie Dzugan, UIF Program Associate (left) & Fellow Hristina Milojevic, Union College at EurekaFest 2014. 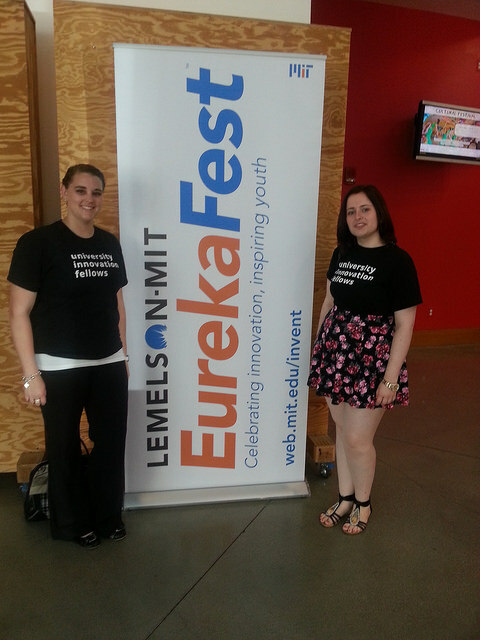 EurekaFest is an MIT and Lemelson Foundation sponsored event hosted at MIT in June. InvenTeams are high school student teams invited to showcase their work from the year throughout the day in various formats — presentations and a demonstration. Student Inventions included a robotic snowblower to a pedal desk that created energy to light up a classroom to a reinvented irrigation and water system. In the evening, were the collegiate prizes which showcased the winners of two categories, “Cure it!” and “Use it!” The Lemelson-MIT student prize winners presented their technology-based inventions that were designed to improve healthcare and consumer devices and tools. The winners ranged from an easily accessible classroom 3D printer to a device that helped people monitor glucose levels. We were joined by Hristina Milojevic (Union), Natalia von Windheim (NC State) and Malik Oliver (Fayetteville) and also received a tour of the amazing MIT Media Lab. The MIT Media Lab is THE. ULTIMATE. MAKER SPACE. Any undergraduate student that wants to support the work of the many research teams within the media lab can do so with ease. Imagine this at every campus. 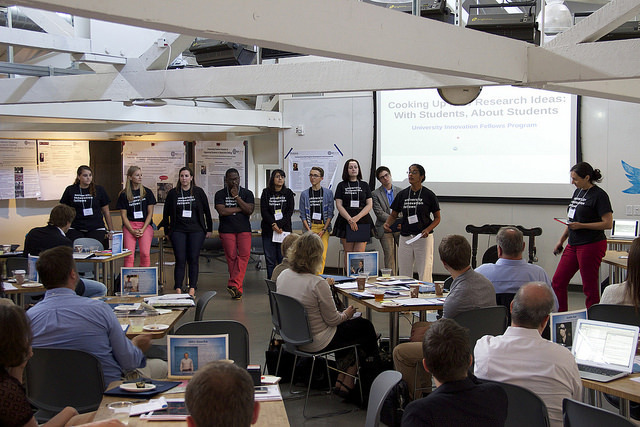 Fast forwarding to August, several students joined us at the Epicenter Research Summit held at Stanford’s d.school. Fellows in attendance were Hristina Milojevic (Union), Bre Przestrzelski (Clemson), Gurlovleen Rathore (Texas A&M), Ben Riddle (Furman), Elliot Roth (Virginia Commonwealth), Valerie Sherry (UMD College Park) and Gregory Wilson (University of Georgia). Along with program leaders, Fellows co-facilitated a session titled, Cooking Up New Research Ideas: With Students, About Students. We were extremely impressed with how each Fellow stepped up and truly helped plan and lead this session for an audience of roughly 70 researchers. Personal and contextual factors that support the success of UIFs as change agents. As a result of their participation, Fellows have reportedly joined together to undertake research projects with one another and with Researchers. For more information on the Summit, click here. We have launched our Fall training! Much of our summer was consumed by application intake, interviews and planning training for the fall cohort. During the afternoon of Monday, August 25, over the course of 3 hours, we held a successful orientation session via Blue Jeans with over 80 participants, including new candidates, faculty sponsors and Epicenter staff! In those 3 hours, we had an overview of the University Innovation Fellows mission, a faculty-only orientation discussing cultivating a strong candidate-faculty sponsor relationship and two breakout sessions for students before we convened to a close. So far, candidates have covered design thinking and have interviewed current Fellows to create 30 new how-to guides on the Wiki. This week they are surveying the ecosystem and delivering the first draft of their landscape canvases! Training will also cover spaces of innovation, the lean approach, students’ strategic priorities and finish with their strategies to give voice to student priorities for Innovation & Entrepreneurship. Humera, Leticia and I met with three of the Fellows National Advisory Board Members — President Rick Miller of Olin College, Susan Brennan of Bloom Energy and Steve Blank of Lean Launchpad and Stanford. Our initial meeting included three Fellows: Bre Przestrzelski (Clemson), Ben Riddle (Furman) and Jaime Arribas (Morgan State). Way to represent! They discussed the projects they are implementing on their campus and what being a Fellow means to them. We met with Susan Brennan in California, just after the Epicenter Research Summit to discuss future strategies for the Fellows program. Later in August, we had a wonderful visit from Leticia — she came to Massachusetts this time! During her stay we visited President Rick Miller at Olin College, had a wonderful tour from an undergraduate engineering student and also had lunch to meet a few key faculty members. In other news: please keep up with the google group, where we frequently post travel opportunities for Fellows to travel around the nation with us and represent the national movement. We also hope you are available to join us for one of the two Regional Meetups this fall — Southeast: Greenville, SC (October 3&4) and Northeast: UMD College Park (early November).